We have been going nonstop for 12 seasons and we need a rest to regroup and create chapter 2 in our productions as we move forward into 2015 and beyond! We wish to thank all of our loyal attendees from all these past years and please stay in touch........we will be back! Small note on the image above. 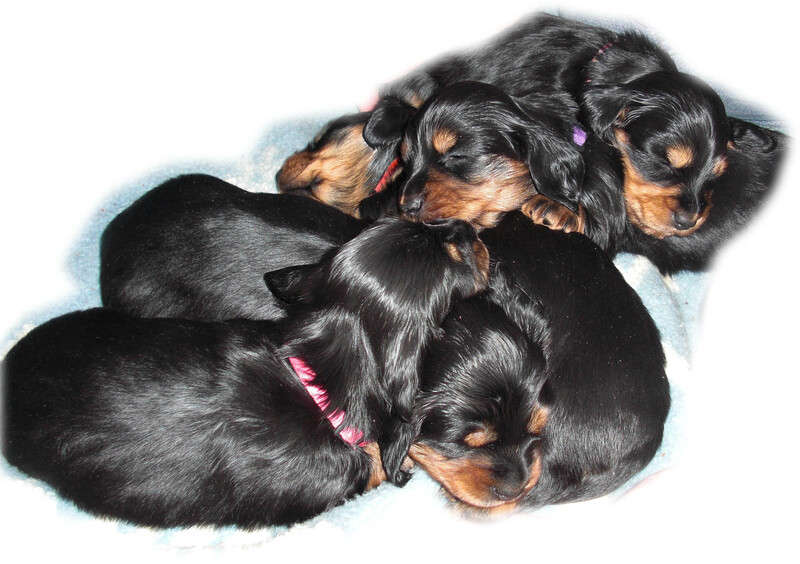 We have had great comments on the 5 little black & tan longhaired doxies in the picture. It is a picture of the litter mates born on Christmas eve of 2009. This was a picture we took about a month later. From this litter, we took 3 that we named Toby, Tilly, and Teddy.